From a field of 529 entries there are now only six players remaining in the 2017 World Series of Poker Europe €10,3000 no-limit hold’em main event at the King’s Casino Rozvadov in the Czech Republic. After five days of tournament action, the field has been narrowed to the final six players contending for the WSOP Europe main event bracelet and the top prize of €1,115,207. 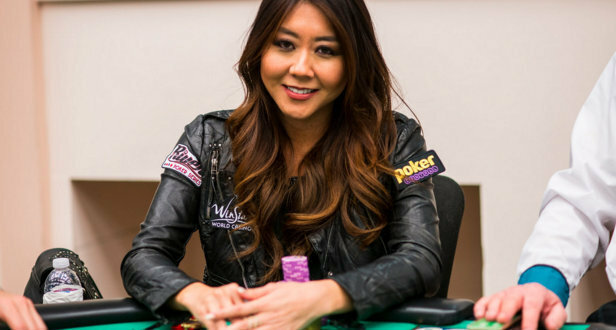 The chip leader heading into the final day is American poker pro Maria Ho. This will be Ho’s fourth WSOP final table finish, and although she has placed as high as second place, she has yet to break through to win her first gold bracelet. Ho will enter the day with 7,830,000 in chips, which will be good for 78 big blinds with play resuming at betting levels of 50,000-100,000 with an ante of 15,000. Spain’s Marti Roca De Torres sits in second place with 7,260,000. Also still in with a shot at the WSOP Europe main event title is Scotland’s Niall Farrell with 3,025,000. Farrell has already had an incredible run at the WSOPE, having won the €25,000 high roller event earlier in the series for his first bracelet and $871,986 USD. The win saw Farrell complete poker’s triple crown, with major titles won in WSOP, World Poker Tour, and European Poker Tour events. Play resumed on day 5 with 12 players. Among the notables to hit the rail throughout the day were defending champion Kevin MacPhee, who was eliminated in 10th place (€74,737). MacPhee won the WSOP Europe main event when it was last held in 2015 in Germany, and came incredibly close to defending his title this time around. He got his last chips in on a board of Q 7 4 9 holding the K K . Maria Ho had put him all-in with the J 10 for a flush and straight draw. The K on the river completed Ho’s straight and sent MacPhee to the rail short of the final table. Play ended for the night when British poker pro Jack Slater was eliminated in seventh place (€129,121). The 30-year-old now has more than $6.7 million in lifetime live tournament earnings. Salter lost a race with J J against Gianluca Speranza’s A K to fall to only a few big blinds and was eliminated on the following hand. The final six will return at noon local time to play down to a champion. The final six are all now guaranteed to cash for at least a €174,365 payday, but surely each of them has their eyes on the bracelet and the €1.1 million first-place prize.